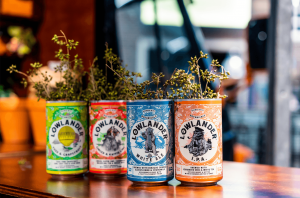 New year, new look: canned Lowlander Beer hits the shelves. It’s Lowlander Beer, but not as you know it: to kick off 2019, four of our beers – the best-selling IPA and White Ale, and the low-alcohol Ginger & Kaffir Lime and Yuzu & Grapefruit infusions – are now available in cans. We didn’t know we could get so excited about beer in a can, but the more we looked into it, the more we discovered that there are literally no downsides to canned beer – which explains why the market for canned craft beer is exploding. First and foremost, cans are just so convenient: they’re light, they won’t break, and you don’t need a bottle opener – plus, beer in a can cools much more quickly than bottled beer. Fast forward to summer, and a chilled can of Lowlander is a no-brainer for picnics, barbecues, festivals, or anywhere that used to involve a hair-raising cycle through the streets with a crate of bottles balanced precariously on your cargo rack (only in Holland…). Another reason that cans have the edge on bottles is because they actually help preserve the flavour of the beer inside: the beer is kept in a totally dark, completely airtight space until the time comes to drink it, resulting in a fresher beer whose flavour is exactly as we intended. We’re not going to lie: cans are hugely beneficial to us as brewers, too. They’re much easier to stack, store and transport. The brilliant news is that these same benefits also make cans a more environmentally friendly option than glass: you can transport more cans in the same space and they weigh less, resulting in a substantially smaller carbon footprint. 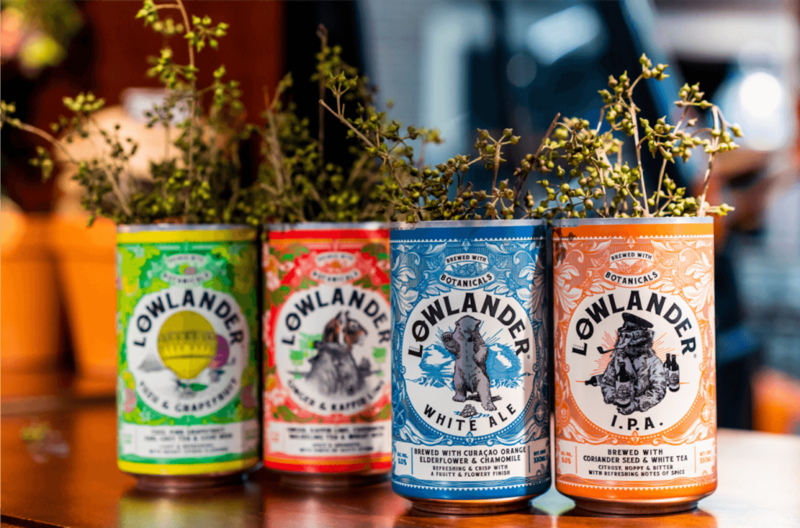 Of course, cans can also be entirely and infinitely recycled (although our Lowlander cans look so gorgeous you won’t want to consign them to the recycling bin…). In short, no one in the brewing world has a bad word to say about cans – it’s literally win-win. So try a can of Lowlander yourself today: wherever, whenever, however. Want to do the can-can? Check out Lowlander IPA, White Ale, Ginger & Kaffir Lime and Yuzu & Grapefruit in can form, get in touch for more information.